The developer behind the transformation of Royal Albert Dock, ABP has announced it is joining forces with CITIC Group, a massive company ranked top 200 on the 2014 Fortune Global 500 List. To ensure the project will go forward, CITIC Construction, the subsidiary of CITIC Group, will be the general contractor for the project. It will mean that with the background and expertise of CITIC Construction and ABP, the Royal Albert Dock project will be guaranteed to be delivered on time and to a high quality. The General Contractor Agreement was signed and witnessed by President Xi Jinping of China, alongside UK Prime Minister David Cameron at London’s Mansion House during the official State Visit. The signatories were Chang Zhenming, Chairman of CITIC Group, and Xu Weiping, Chairman of ABP Global. Situated in London’s only Enterprise Zone and enjoying a range of tax benefits, the 4.7m sq ft development is London’s flagship regeneration project. It will cost £1.7bn to transform Royal Albert Dock into London’s next business district, up to 30,000 new jobs will be created and it will be worth of £6bn to the UK economy. On 22nd Oct, Chen Xiaojia, General Manager of CITIC Construction, Jiang Xiangyang, Managing Director of Sany Europe and Xu Weiping, Chairman of ABP Global signed the Investment Cooperation Agreement on Equipment Leasing Company, the three parties will jointly set up an equipment leasing company for the Royal Albert dock project and other projects to provide equipment leasing for the smooth implementation of the project. In a further move, ABP and CITIC Construction Ltd will form an investment company as a vehicle to deliver major infrastructure and housing projects across the UK. And they have ambition beyond the Royal Albert Dock project to develop other projects in UK, especially in London. CITIC-ABP Investment limited - the new joint company will invest and hold 25% shares of Advanced Business Park (London) Investment Holding Ltd. ABP will remain the main shareholder of the Royal Albert Dock project. The deal will make the project the biggest real estate development delivered in the UK by a Chinese construction company. This is the also first UK project by CITIC Construction, which has extensive experience in bidding for, designing, constructing and managing large scale engineering projects, both inside and outside China. Their relationship is seen as an effective example of London projects attracting foreign investment and creating prosperity for local communities, and strengthening economic and trade relation between the UK and China. Chairman of CITIC Group, Chang Zhenming said, “The signing marks the fact that CITIC Construction will become the founding partners of ABP Royal Albert Dock together with ABP. CITIC Construction will also be the general contractor of this project. This will showcase CITIC Construction’s expertise in large scale project management and implementation, and building material and machinery procurement, as well as ABP’s expertise in the development of a Headquarters Economy and operational management. “This collaboration will further promote the economic and cultural exchange between the east and west, especially strengthening the economy and trade between the two nations. 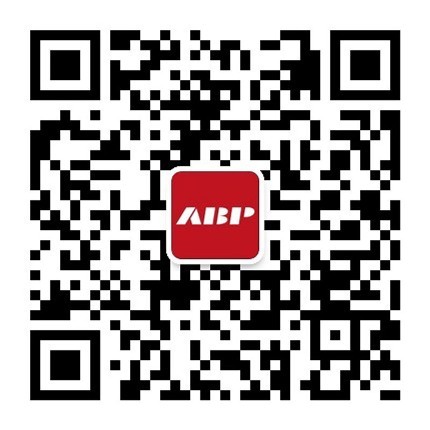 Chairman of ABP Global Holdings, Xu Weiping said: “As the Sino-UK relationship has entered the ‘golden era’, the bilateral exchanges have never been stronger, and this cooperation between ABP and CITIC is a perfect example of this ‘golden era’. “The collaboration between our two companies means the resources and expertise of state-owned and private-owned companies will be shared, competitiveness will be increased, and it will strengthen the trade between UK and China and the exchange between enterprises from the two countries. Further details about the agreements will be announced in due course. It was announced by the Mayor of London on 29 May 2013 that ABP (London) would lead the development of the 35-acre Royal Albert Dock site, as part of a deal, with UK partner Stanhope acting as development manager. ABP were chosen following a procurement process to identify a developer to develop out the site for employment focused uses. It will cost £1.7bn to deliver and create 30,000 new jobs. The development will be London’s next business district and a gateway for enterprises to develop new markets, many of them from Asia. The Hybrid planning application for up to 437,185 sq. m of floor-space with part submitted in outline and part submitted in detail received a resolution to grant consent at Newham Council’s Strategic Development Committee meeting on 23 July 2014, and was approved following no objections from the GLA or the Secretary of State in June 2015. At the official sales launch of the project held in June this year, more than 10 enterprises from the UK and Asia signed confirmation agreements and each paid a £50k reservation fee to secure office space in the first phase of the 4.7 million sq ft development in advance of construction work starting on site later this year. It is planned to start work on site at Royal Albert Dock in early 2016 and will deliver more than 600k sq ft office space before the end of 2017. The first phase of 4.4m sq ft will be finished by 2018. The entire 4.7 million sq ft scheme will now be completed within 6 - 8 years. The estimated gross development value of the development is £3 billion. Royal Albert Dock is part of the Royal Docks which lies within the stretch of land running from Stratford down the River Lea to the Thames, an ‘arc of opportunity’ with £26 billion of development potential. It is home to ExCeL, the international exhibition and convention centre and London City Airport. The Mayors of London and the London Borough of Newham have set out a joint vision to develop the Royal Docks. CITIC Construction Co., Ltd is a subsidiary of the CITIC Group. CITIC Group is the biggest conglomerate of China with financial and non-financial business mix, covering financial services, resources and energy, manufacturing, engineering contracting, real estate and infrastructure etc. Ranking 186th of the Global FORTUNE 500 Firms (2015), CITIC Group records total assets of 760 billion US dollars by the end of 2014. Based on CITIC Group’s full-service strength and international reputation, CITIC Construction has developed a “FOUR in One” business structure integrating engineering contracting, financing, resources and industries. CITIC Construction’s operation strategy is to win over engineering contracts with front-end services and financing solutions for clients, and prompt industrial development through engineering contracting work. CITIC Construction provides clients and local governments with a full package of comprehensive services throughout the whole project lifecycle. In 2015, CITIC Construction ranked 52th among the ENR Top 250 international contractors. For more information.